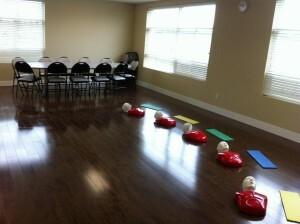 First Aid and CPR Re-Certification Courses in Surrey, B.C. Do you need to renew an expiring first aid and / or CPR award? Is it still current and provided through a credible Canadian provider? If so, you may be eligible for a re-certification course which is considerably shorter and cheaper than the original course. 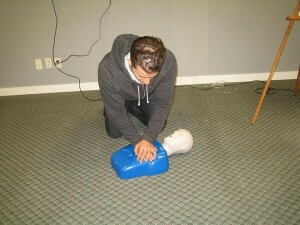 These courses are held in Surrey, British Columbia with Vancouver First Aid Ltd. This is the most popular and experienced provider in Surrey and throughout the Lower Mainland. Courses are offered for as low as 25.00 dollars and participants will learn the latest American Heart Association and ILCOR standards for first aid and CPR. A large number of other courses are provided including food safe level 1 and babysitting first aid. Renew your skills in first aid and CPR by enrolling in a re-certification course in Surrey today. Click here to view all of the available courses in Surrey including the latest re-certification classes. To complete your registration and enrolment, you can use the form below or enrol via e-mail, telephone call, or walk-in during business hours at any of the Vancouver First Aid facilities in Surrey. Training Address: 7238, 137th Street, Surrey, B.C. View the map below for directions and location information. Nobody beats these prices in Surrey! To book a private course at your facility or at the Surrey training centre use the contact information posted above. Workplace approved training certificates are awarded to trainees who are able to complete their enrolled course. All training facilities in Surrey are decked out in high end training equipment for all the training programs. The classrooms are spacious and well-maintained as well. The facilities are easily accessible, within walking distance to public transportation and free parking. Training facilities are located in Newton and Whalley business centres in Surrey. Blisters are generally avoided from being drained of fluid to prevent infection. However, if popping blisters are because of work and daily activities or cause if the blisters cause pain, take a look at the list below to prevent infection when draining them. Using a sterilized needle or the needle portion of a sterile syringe (a syringe that is still sealed and has not been used), puncture the blister. Aim for the edge. If you notice signs of infection (swelling, pain, bad odor, pus/increased drainage), seek medical attention immediately.